It’s not uncommon for restaurant employees to receive discounted or free meals before, during, or after their shift. In addition to making employees feel appreciated, providing them with opportunities to taste the product (and learn about the various dishes) might give them an edge in selling to customers. It is important, however, to properly account for employee meals in order to keep inventory and financial statements accurate as well as to document employee benefits for expense and tax purposes. In determining an employee meal policy for your restaurant, consider the positive aspects of providing the benefit. As mentioned, when employees are offered free meals, they are more likely to try different dishes and expand their knowledge of the menu. This, in turn, may lead to better customer service. You’ve worked hard to hire and retain the best employees. Keep them happy by keeping their bellies full. Employee theft is a harsh fact of life in the restaurant industry. If employees are aware of free or discounted options, they may be less likely to steal food. Discounted meals are often provided to employees even during days when they don’t work. This practice encourages employees to bring in friends and relatives who pay full price. 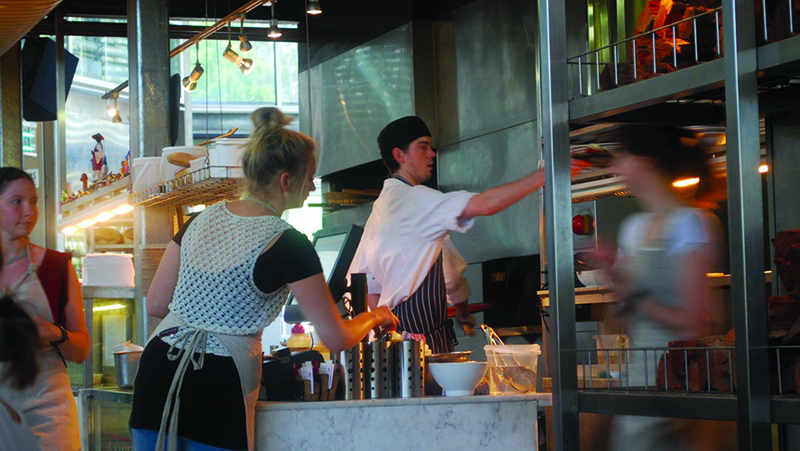 Family-owned or small establishments are most likely to offer a family-style meal where staff eat together during a specific time during the day or at the end of a shift. Larger restaurants typically offer employees one free or discounted meal per shift. Employee meal policy does vary from operation to operation, contingent on the type of food served and overall budget. Determine whether or not it makes sense for you to offer free meals from the entire menu or from a list of less expensive items. If you’re not comfortable providing a free meal, you can set a discount on menu items across the board. Many establishments provide free fountain beverages to employees throughout a shift. As most restaurants can write off their employee meals as a tax deduction, it is important to accurately track any food given to employees. At the same time, recording employee meals helps to keep an accurate record of the cost of goods sold (COGS). Today’s point-of-sale (POS) systems allow for employees to enter food orders as employee meals. For accountability, some restaurant operators encourage managers or other employees to enter employee meals for coworkers. So, what's the right employee meal policy for my restaurant? There isn’t a silver bullet answer for every establishment; however, there are a few best practices to keep in mind. Develop a policy that you are comfortable with, that stays within your budget, and provides a boost in employee morale. Define what, when, and where employees are able to eat. Clearly communicate your restaurant’s meal policy with your employees. Should an issue arise, address it in a way that helps reinforce the policy. Carefully record employee meals to maintain accurate financial records and to maximize tax savings. Check with your accountant if you are unsure about any tax or wage issues related to providing employee meals. Wondering about other tax-savings strategies for your small business? Download our Small Business Accounting Kit! Image by Alpha via Flickr, licensed under CC BY 2.0.